Roboapocalypse: BREAKING: NYFF53 Closing Night Selection Announced! BREAKING: NYFF53 Closing Night Selection Announced! 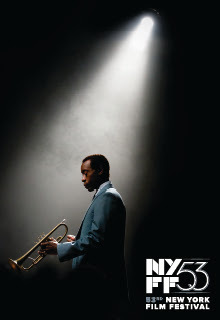 Continuing the trend of selecting potential awards contenders to premiere at the New York Film Festival, the Film Society of Lincoln Center announced today that Don Cheadle's directorial debut, Miles Ahead, a biopic of musician Miles Davis, will close NYFF53 this fall. The past few years of NYFF closers were the New York premiere of Birdman, which went on to win the Oscar for Best Picture, the world premiere of Her, which went on to be nominated for the Best Picture Oscar, and the world premiere of Flight, which went on to be nominated for two major Oscars. Given the NYFF's track record for closing with films that go on to be major awards contenders, this bodes well for Miles Ahead. New York, NY (July 22, 2015) – The Film Society of Lincoln Center announced today that Don Cheadle’s directorial debut Miles Ahead will make its World Premiere as the Closing Night selection of the upcoming 53rd New York Film Festival (September 25 – October 11). Cheadle, who co-wrote the script, stars as the legendary musician opposite Emayatzy Corinealdi and Ewan McGregor. Miles Davis was one of the greatest artists of the 20th century. And how do you make a movie about him? You get to know the man inside and out and then you reveal him in full, which is exactly what Don Cheadle does as a director, a writer, and an actor with this remarkable portrait of Davis, refracted through his crazy days in the late-70s. Holed up in his Manhattan apartment, wracked with pain from a variety of ailments and fiending for the next check from his record company, dodging sycophants and industry executives, he is haunted by memories of old glories and humiliations and of his years with his great love Frances Taylor (Emayatzy Corinealdi). Every second of Cheadle’s cinematic mosaic is passionately engaged with its subject: this is, truly, one of the finest films ever made about the life of an artist. With Ewan McGregor as Dave Brill, the “reporter” who cons his way into Miles’ apartment. The film was produced by Don Cheadle, Pamela Hirsch, Lenore Zerman. Along with Daniel Wagner, Robert Barnum, Vince Willburn and Daryl Porter. NYFF previously announced Robert Zemeckis’s The Walk as the Opening Night selection and Luminous Intimacy: The Cinema of Nathaniel Dorsky and Jerome Hiler, the first-ever complete dual retrospective of the experimental filmmakers. Tickets for the 53rd New York Film Festival will go on sale in early September. Becoming a Film Society Member at the Film Buff Level or above provides early ticket access to festival screenings and events ahead of the general public, along with the exclusive member ticket discount! To find out how to become a Film Society member, visitfilmlinc.com/membership.